Radiatore stufa SUBARU LEGACY I Station wagon (BC,BJF) 2000 4WD 85kw 1994cc dal 1991 al 1994. FRANCIA: CORSICA (20000-20999). SUBARU 7321O-AGOOO. SUBARU 73210-AG000. SUBARU LEGACY IV (BL, BP) 2.0 AWD 101 09.2003 -. SUBARU LEGACY IV (BL, BP) 2.0 AWD 121 06.2005 -. SUBARU LEGACY IV (BL, BP) 2.0 AWD 132 06.2005 -. SUBARU LEGACY IV (BL, BP) 2.0 AWD 140 06.2005 -. 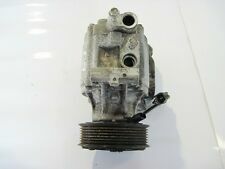 14048A Compressore aria condizionata climatizzatore Transtek SUBARU FORESTER (SH) Benzina 2008>. SUBARU FORESTER (SH) 2.0 AWD 1994 01/2008> 150 110 EJ20. SUBARU FORESTER (SH) 2.0 AWD 1995 01/2010> 150 110 FB20. 14350A Compressore aria condizionata climatizzatore Transtek SUBARU FORESTER (SH) Diesel 2008>. SUBARU FORESTER (SH) 2.0 D AWD 1998 09/2008> 147 108 EE20Z. Prodotti originali. 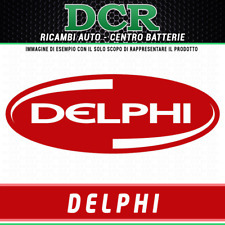 Compressore clima per motore Boxer Diesel Subaru. codice Subaru 73111AG040. codice motore EE20. RICAMBI NUOVI E USATI ORIGINALI SUBARU. per essere spedito in 24/48 ore. Siamo distributori Ufficiali ricambi e accessori, per i seguenti marchi. SUBARU 9531186G00. SUBARU JUSTY II (JMA, MS) 1.3 4x4 63 04.2001 - 11.2003. SUBARU JUSTY II (JMA, MS) 1.3 GX 4x4 50 10.1995 - 11.2003. SUBARU JUSTY III (G3X) 1.3 AWD 69 09.2003 -. SUBARU JUSTY III (G3X) 1.5 AWD 73 09.2003 -. SUBARU 73O2O-G151. SUBARU 7321O-ACO5O. SUBARU 73210-AC050. SUBARU 73020-G151. SUBARU IMPREZA Station wagon (GF) 1.8 i 76 11.1995 - 06.1996. SUBARU IMPREZA Station wagon (GF) 1.8 i AWD 76 08.1992 - 12.2000. SUBARU 73210FC030. SUBARU FORESTER (SF) 2.0 AWD 90 08.1997 - 09.2002. SUBARU FORESTER (SF) 2.0 AWD 92 06.1998 - 09.2002. SUBARU FORESTER (SF) 2.0 S Turbo AWD 125 06.1998 - 04.2001. SUBARU FORESTER (SF) 2.0 S Turbo AWD 130 04.2001 - 09.2002. Subaru Impreza, Legacy & Forester. 1 x Tensioner Adjuster. Air Con Belt Tensioner Kit. 1 x Tensioner Pulley. 1 x Adjuster Bolt. 1 x Pulley Shaft. 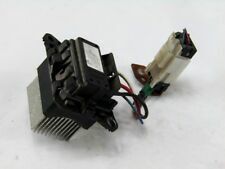 Subaru Service Parts (1102). We are specialists in Subaru UK & JDM Models, but cater for all Japanese car manufactures like Nissan, Toyota, Mitsubishi etc. Subaru Impreza, Levorg, Forester, WRX. Subaru Service Parts (1102). We are specialists in Subaru UK & JDM Models, but cater for all Japanese car manufactures like Nissan, Toyota, Mitsubishi etc. Ending Soon. RENAULT TWINGO I (C06_) 1.2 (C067) 40 05.1996 -. RENAULT TWINGO I (C06_) 1.2 (C066, C068) 43 05.1996 -. RENAULT TWINGO I (C06_) 1.2 (C063, C064) 40 03.1993 - 10.1996. RENAULT TWINGO I (C06_) 1.2 16V (C060) 44 08.2004 - 06.2007. 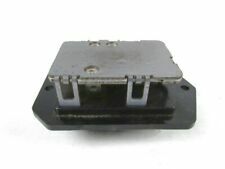 2.0 Diesel - Part Number 73111SC000 - In good working order - Compatibility is a guide only. A/C Compressor. This part was removed from a Right Hand Drive Vehicle. Compatibility is a guide only. Your item will need to be signed for. Olio compressore PAG 150. ID compressore CR-14. ID compressore Poly-V 4. SUBARU OB95A-45O1O. SUBARU 73111-FA1O1. SUBARU 73111-FA101. SUBARU 0B95A-45010. SUBARU IMPREZA Coupé (GFC) 1.6 66 12.1996 - 12.2000. Subaru Impreza, Legacy & Forester. Air Con Belt Tensioner Bolt. Subaru Service Parts (1102). We are specialists in Subaru UK & JDM Models, but cater for all Japanese car manufactures like Nissan, Toyota, Mitsubishi etc. Olio compressore PAG 46. Puleggia -� [mm] 100. SUBARU IMPREZA Schrägheck (GR, GH, G3) 1.5 Allrad (1498 ccm / 4 Zyl. / Motorart: Otto / Motorcode: EL15) 79 107 02.2008 -. SUBARU IMPREZA Schrägheck (GR, GH, G3) 2.5 Allrad (2457 ccm / 4 Zyl. / Motorart: Otto / Motorcode: EJ257) 221 301 01.2008 -. 14511 Compressore aria condizionata climatizzatore Transtek SUBARU LEGACY III Station wagon (BE, BH) Benzina 1998>2003. SUBARU LEGACY III Station wagon (BE, BH) 2.0 AWD 1994 12/1998>08/2003 125 92 EJ20. Gebläsemotor (Heizgebläse). Wo ist die KBA?. der Identifikation der Fahrzeuge und - oder Fahrzeugtypen. Alle Angaben ohne Gewähr. Puffer für Motorhaube. Scharnier für Motorhaube. Lackierte Motorhaube. 14511 Compressore aria condizionata climatizzatore Transtek SUBARU LEGACY III (BE, BH) Benzina 1998>2003. SUBARU LEGACY III (BE, BH) 2.0 1994 04/1999>08/2003 125 92 EJ20. SUBARU LEGACY III (BE, BH) 2.5 2457 10/1998>08/2003 156 115 EJ25. PART NUMBERS MUST MATCH UP.